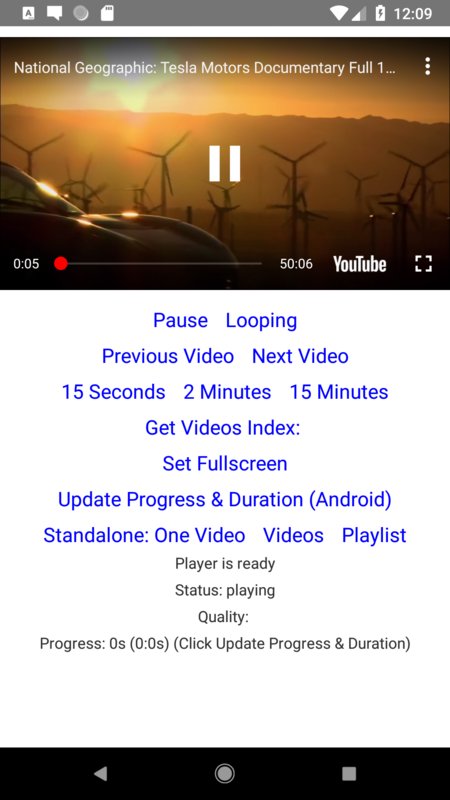 Here is an Example of YouTube Video Integration in React Native. 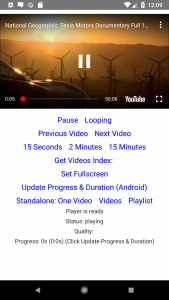 To integrate the YouTube video in our example we will use a library called react-native-youtube. Which provides a YouTube component which is very easy to use. This command will copy all the dependencies into your node_module directory, You can find the directory in node_modulethe directory named react-native-youtube. You can see the following changes in your android project. If you are unable to find the changes then please do those changes as they are must for this example. 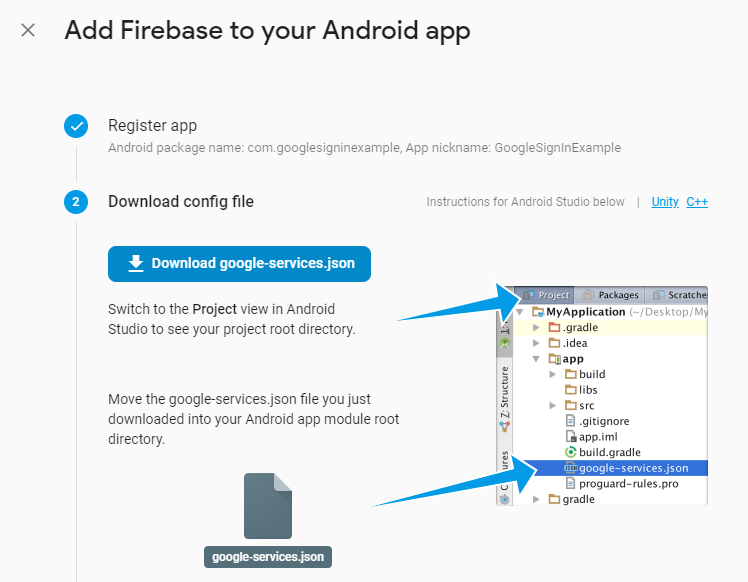 Go to the YoutubeExample> android > app > build.gradle. Scroll down and you can see the following dependency and if not please add this. Open YoutubeExample> android > settings.gradle and you can see the following lines and if not please add this. To use Youtube in your Application we have to get Youtube API key from the Google Developer console. 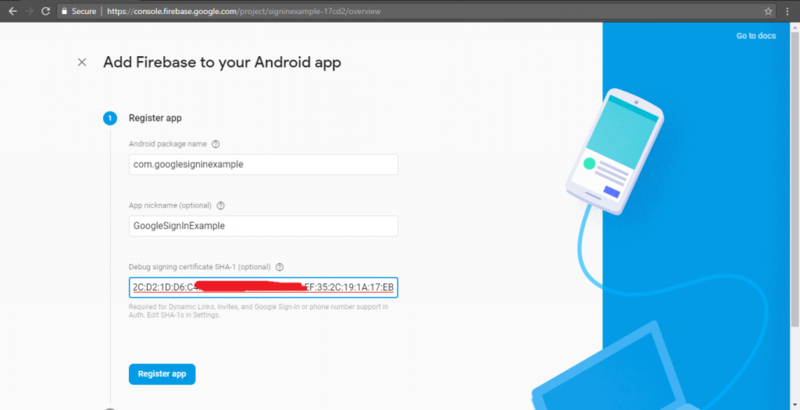 For that, open Developer console and log in from your Google account. After creating the project you can see all of your created project a drop down in the top left corner. Now select the project from the dropdown and goto to the credential section. You can find the create credential option there. Before we add this API key in our project you have to enable the API Library/ Feature which you want to use in your project. For that, you can search for the Youtube and you will find the Youtube related API Library. 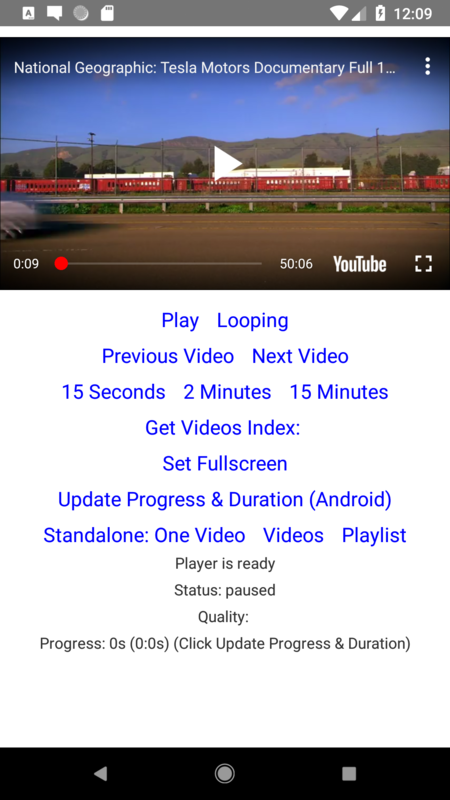 We will enable YouTube Data API. Click on YouTube Data API and you will found the enable button to enable the YouTube Data API. Now after enabling the API key, we have to add this API key in our project’s App.js file. Just replace YOUR_API_KEY everywhere with your generated API key. // Un-comment one of videoId / videoIds / playlist. This is how you can integrate Youtube video in your React Native Application. If you have any doubt or you want to share something about the topic you can comment below or contact us here. There will be more posts coming soon. Stay tuned! We are here with React Native Facebook Integration Example using Facebook SDK. Every application has a login and signup option but if you are integrating the social login into to it then it becomes much easier for the users to login without the mess of filing the registration form and confirming via Email or OTP. As we know Facebook is a very popular platform so we will see the example to integrate the Facebook login in our App. To log in, via Facebook, we will use react-native-fbsdk library which is very simple and easy to integrate so Let’s get started. This command will copy all the dependencies into your node_module directory, You can find the directory in node_module the directory named react-native-fbsdk. –save is optional, it is just to update the react-native-fbsdk dependancy in your package.json file. Go to the FBLoginExample> android > app > build.gradle. 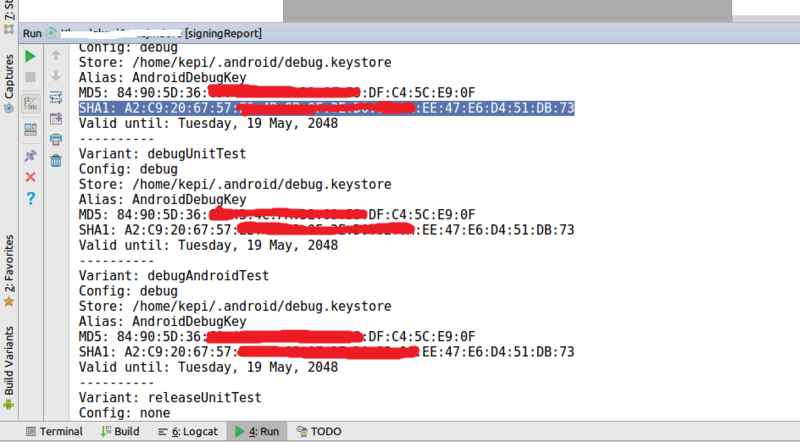 Open FBLoginExample> android > settings.gradle and you can see the following lines and if not please add this. Here we have done with our installation of the library. If you are still facing the trouble then please comment below so that we can help you out from the problem. 2. Open the MainApplication.java file. 3. Add the following import statements to the list of imports near the top of the file. 4. Inside the MainApplication class, add an instance variable of type CallbackManager, and also add its getter. 5. Register the SDK package in the method getPackages(). Only add the indicated line. 6. In MainActivity.java, add the following import statement. 7. Provide the ability to receive application events by overriding the onActivityResult() method. Follow the instruction and fill the package and activity name. Ubuntu and Mac users can easily generate the Hash but in case if windows you need to download the OpenSSL else you will find the following error. After downloading the OpenSSL you can unzip it in your C directory and need to modify the specified command to the following command. After inserting it follow the instruction. You will find the dashboard and in left sidebar an option of facebook login. Click on it and then setting. You can do further setting from here. If you want to navigate to your app any time in future just open the Facebook Console find the option in the right top corner to go to your app. Now we are ready to go to the code. In this example, we are simply integrating the Facebook button which will open the facebook login page or will directly ask for permission if you have facebook app installed. Please do remember to replace your Web Client Id in the mentioned location in code. This is how you can Integrate Facebook Sign In in your React Native Application. If you have any doubt or you want to share something about the topic you can comment below or contact us here. There will be more posts coming soon. Stay tuned! Hello guys, we are here with an Example of Google Sign In in React Native which can be very helpful to you. Every application has a login and signup option but if you are adding the social login to it then it becomes much easier to the users to login without the long mess of filing the registration form and confirming via mail or OTP. To log in, via Google, we will use react-native-google-signin library which is very simple and easy to integrate so let’s get started. This command will copy all the dependencies into your node_module directory, You can find the directory in node_module the directory named react-native-google-signin. –save is optional, it is just to update the react-native-google-signin dependancy in your package.json file. Go to the GoogleSigninExample> android > app > build.gradle. Open GoogleSigninExample> android > settings.gradle and you can see the following lines and if not please add this. 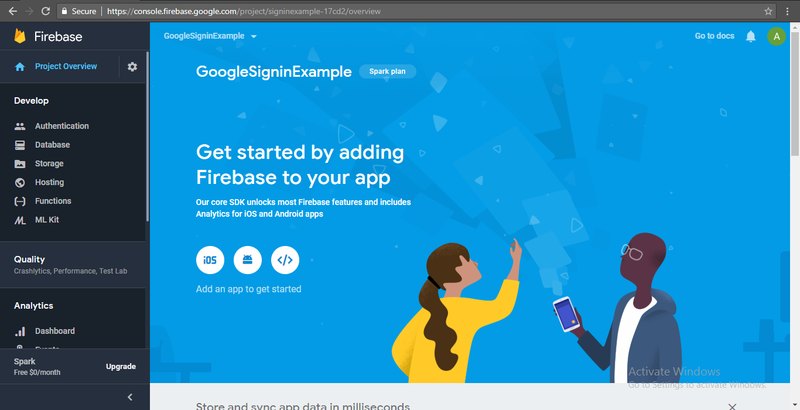 To integrate Google SignIn in your Application firebase is the easiest way. Follow the following step. 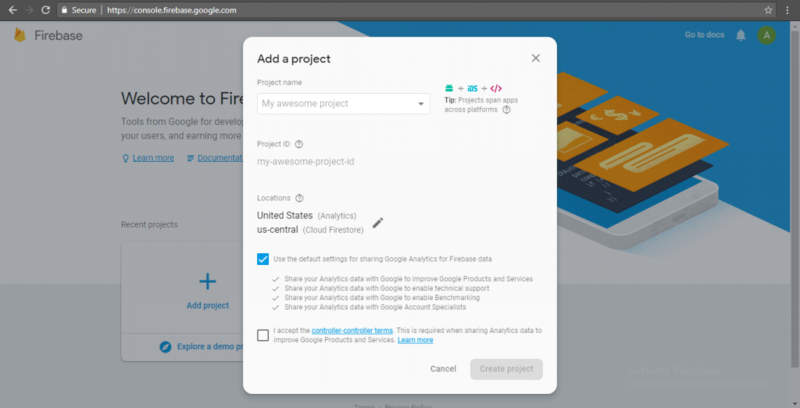 Open Firebase console and log in from your Google account. After creating the project you can see a home screen with the option to add firebase in IOS, Android or web. As we are integrating with Android for now so click on Android. After that, you will see the 1st step of the registration form. Fill App name, Nick Name and SHA1 of your app. To know more about How to generate Debug signing certification SHA-1 visit here. 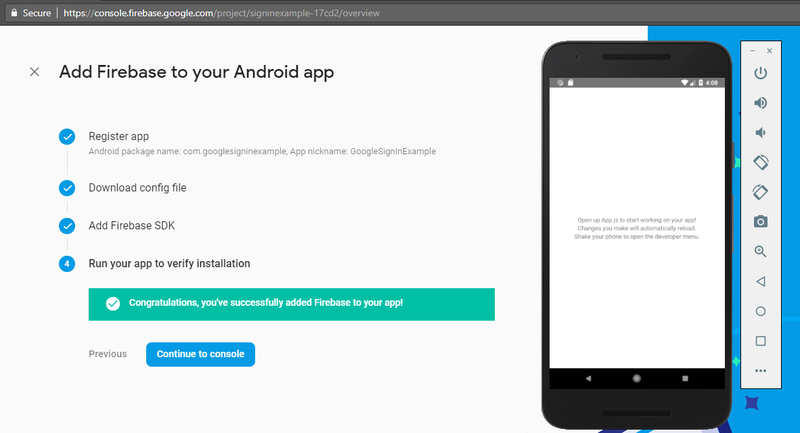 Now we have to run the app so that firebase can set up the connection with our app and can verify installation. After that continue to console. Where you will find the Authentication option in left side tab. Click on the option and you will find the following screen. Click on the Set up sign-in method and you will find the Sign-in providers. 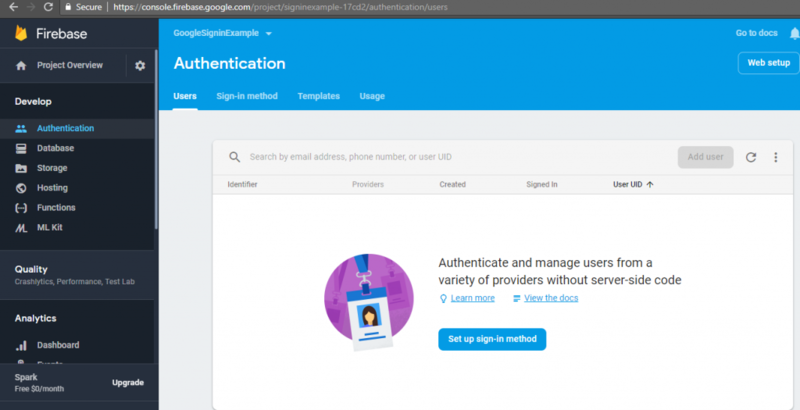 Choose Google from the number of Sign-in providers and Enable it. You will find web SDK configuration option, click on it and you will find web client ID which we will need in our project so just copy and paste it somewhere to use it. //Prompts a modal to let the user sign in into your application. //Check if device has Google Play Services installed. //Always resolves to true on iOS. //May be called eg. in the componentDidMount of your main component. //if they already signed in and null otherwise. //Remove user session from the device. //Remove your application from the user authorized applications. 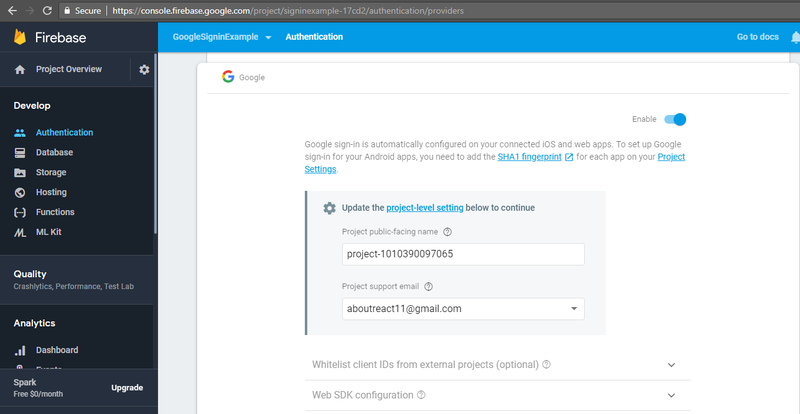 This is how you can Integrate Google Sign In in your React Native Application. If you have any doubt or you want to share something about the topic you can comment below or contact us here. There will be more posts coming soon. Stay tuned!